We hear a lot about solar and wind microgrids. 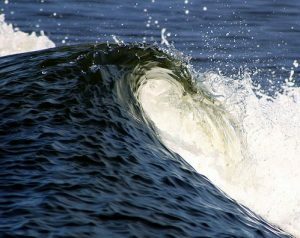 So now how about wave energy microgrids? Australian company Carnegie Wave Energy today signed an agreement with the Republic of Seychelles to investigate commercial wave and microgrid opportunities in the 115-island country off the coast of South Africa. Under the memorandum of understanding, Carnegie Wave Energy will pursue opportunities to develop its CETO wave technology on Seychelles with microgrids that integrate the wave farms into the existing power infrastructure. The facilities would supply clean power and freshwater. “Carnegie has identified remote islands as an attractive early market for the CETO technology,” said Greg Allen, Carnegie’s chief operating officer. The wave microgrid “can enable high penetration of renewable energy, displacing imported diesel,” Allen added. The deal was announced at the inaugural Indian Ocean Rim Association Ministerial Blue Economy Conference in Mauritius. The ‘Blue Economy’ is a new concept that incorporates the ocean economy, environment and sustainability to provide basic human needs. Stem again is pushing the boundaries to make room for distributed energy in markets conventionally confined to the large power plant. Stem combined its predictive software with technology offered by grid services company Olivine. The combo makes it possible to bid and automatically dispatch stored power into the energy market. The action came under Pacific Gas and Electric’s (PG&E) Supply-Side Pilot (SSP), an innovative project that enables customer-sited, demand-side resources to participate in the CAISO wholesale markets as demand response. Stem’s storage system is in buildings of customers like Adobe’s San Francisco campus, where batteries store energy when costs are low and deploy it when they rise. By participating in the CAISO market, Adobe is turning its Stem system into a revenue stream. Stem sets its price target and then its predictive software automatically accepts market bids and dispatches available power to the grid. Stem collected extensive data during successful day-ahead bidding at six customer sites for more than a year to enhance forecasting and refine automation. 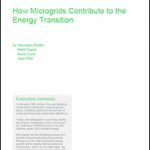 Track the latest updates about microgrids by following us on Twitter @MicrogridNews.